Drove to Los Angeles and Anaheim. Started at 3pm. Got in at 9:30pm at the Ramada in Anaheim directly across from the Disneyland entrance after a quick dinner stop. DISNEYLAND! Got our tix at the hotel and got there when the gates opened at 9am. 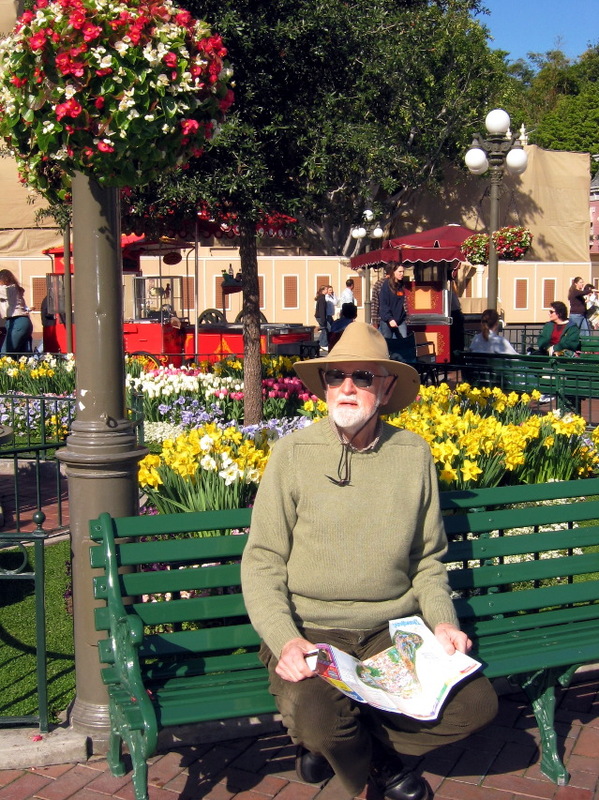 Here, Arthur sits on a park bench on Main Street and decides where to go first.